Fairmont Quasar Istanbul rises up above the slopes of the Bosphorus Strait, looking out over centuries of history, silhouetted against the modern skyline of Istanbul’s main business district, presiding over the vibrant Mecidiyeköy area with its rich and eclectic blend of office towers and shopping centres, colourful side streets and neighbourhood shops. 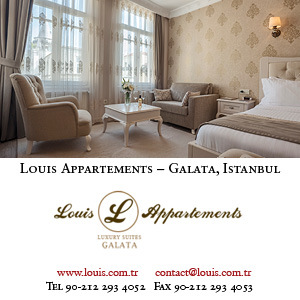 The hotel is within easy reach of both airports, the Grand Bazaar, Taksim Square and the Maslak financial district by metro and has a private helipad for executive travellers on a tight schedule and VIP guests seeking to avoid the crowds and the cameras. The Fairmont is ideally suited for both executives travelling on business and sophisticated travellers looking to experience the best that the city has to offer with balcony views that survey the dynamic heart of the city or gaze out across the Bosphorus. 209 luxury guest rooms and suites, decorated with understated elegance and the latest technology. A Turkish-style “ocakbaşı” grill and show kitchen serves a selection of authentic kebabs and meze appetisers. Stations Restaurant offers a vibrant array of live cooking stations at breakfast, lunch and dinner. The tea lounge serves teas from Turkey and around the world, cakes and pastries in a relaxed setting. Sample cocktails at the Marble Bar against the lively backdrop of a striking lobby or the Asian-inspired cuisine, Bosphorus views, and luxurious décor of the poolside bar. Other facilities include: Willow Stream Spa with Turkish bath, Yoga Room, indoor pool, Fitness Centre, outdoor pool in the summer months with views across the Bosphorus; columnless Ballroom and 2000 square metres of meeting / event space.